On a sparkling clear day several members gathered to join a volunteer effort for the Three Rivers Park district, collecting seeds from prairie wildflowers. 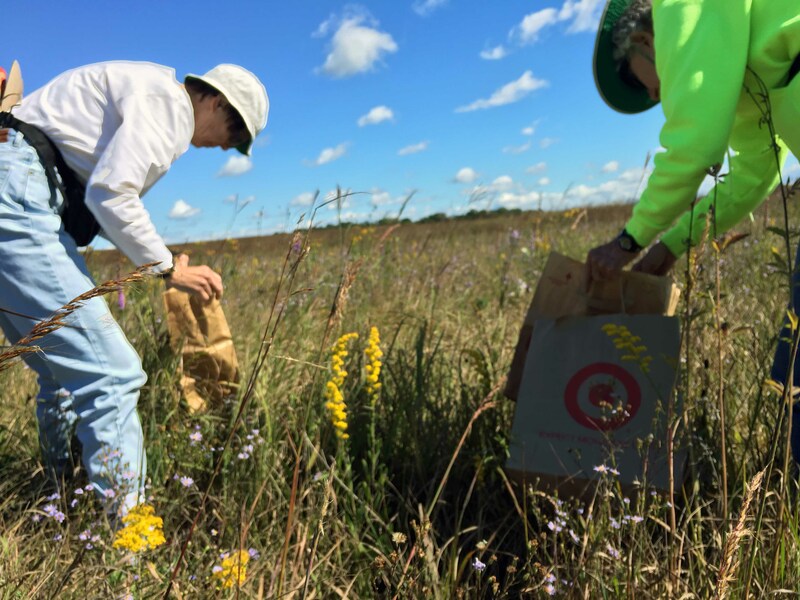 Guided by enthusiastic park staffers, we and about 15 other volunteers assembled on Sept. 10 in a restored prairie area of Crow-Hassan Park Reserve, near Rogers. 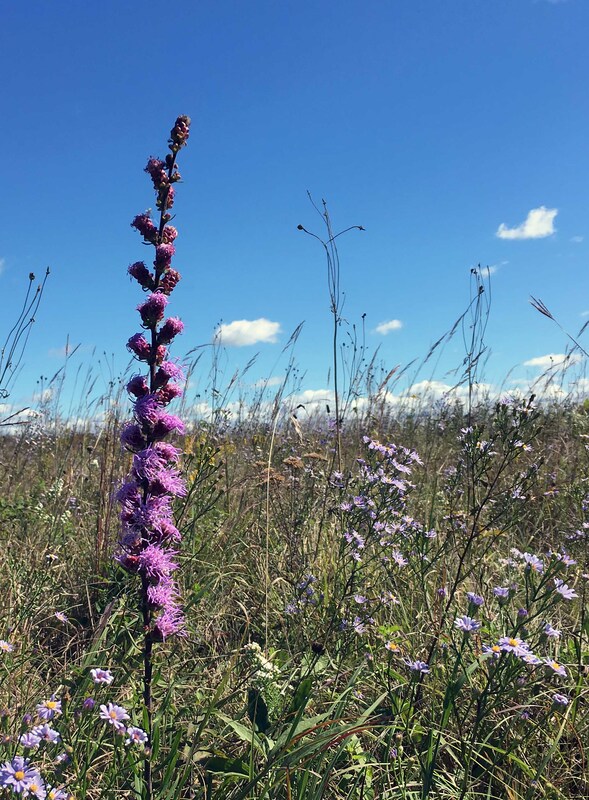 The collected seeds help increase the amount and diversity of seed planted each year in the more than 1,200 acres of restored prairie managed by Three Rivers Parks. The prairie was lush with dense grasses and blooming plants. The coordinator showed us examples of plants to collect that day: white clover, purple clover, Culver’s root, and gray headed coneflower, which all had ripe seed heads. It was easy to find most of them and we soon were knocking the seeds off them into collecting bags. After a couple of hours we were surprised to see the amount of seeds we accumulated.